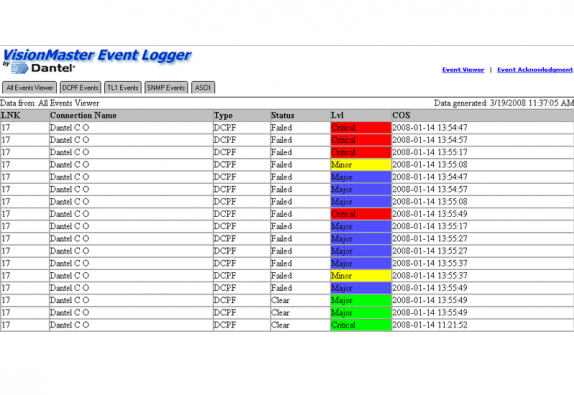 Dantel’s VisionMaster is a Windows-based event surveillance, monitoring and management solution that provides intelligent event viewing and notification of critical network effecting occurrences. Compatible with Windows NT, Windows 2000 and Windows XP, VisionMaster can be virtually positioned anywhere in your network. 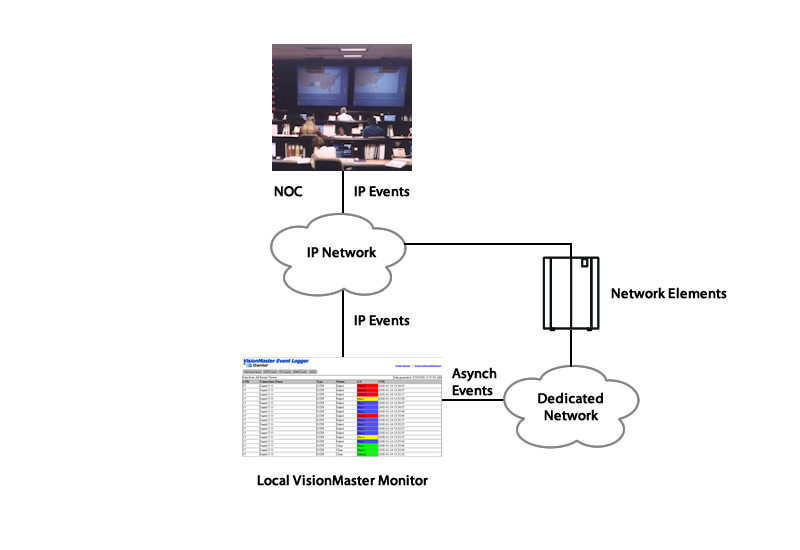 Whether an a asynchronous or TCP/IP network, VisionMaster with allows you to instantly create an effective and cost effective event monitoring structure, providing critical visibility of your network’s health. VisionMaster provides the ability to address a variety of applications including Micro-NOC for centralized surveillance, Mediation for concentrating and reporting event upstream, and Local for a clear view of network trouble. VisionMaster interfaces virtually any Network Element that reports events in SNMP, TL1 or ASCII protocols including Dantel PointMaster Eagle, RemoteMaster, 460 ACS, and WebMon product lines. VisionMaster also provides a provisioning utility for managing PointMaster Eagles and RemoteMaster and remote centrally located VisionMasters. How does VisionMaster improve QoS and benefit your business?